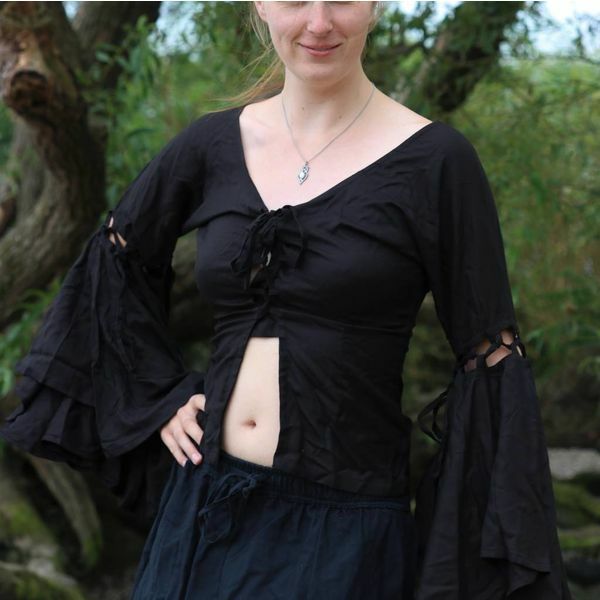 This top is made of viscose. 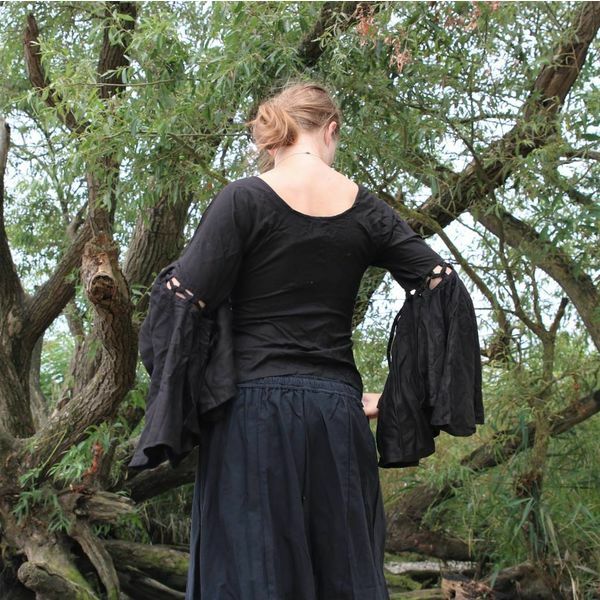 The sleeves are wide ending from the elbows and the front can be laced up with cords. It is available in the colours white, black and cream in the sizes S up to XL.